The school will be hosting the annual Scholastic Book Fair in the school library from April 9-12. The book fair will be open on the 9, 10 and 11 from 9-4 and on the 12 from 1-6:30. Books for children and teens, as well as posters, will be available for students to purchase. All purchases will benefit school programs. Come out and help the book fair reach its $3000 goal, every purchase counts! 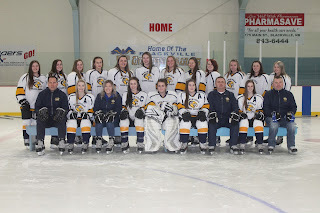 The senior girls hockey team had their very strong season come to an end Friday night at home. The girls began their season with a huge 11-3 win in an exhibition game against the former champs. This game was played at home in front of a huge crowd, as it was the first ever Blackville school girls hockey game. 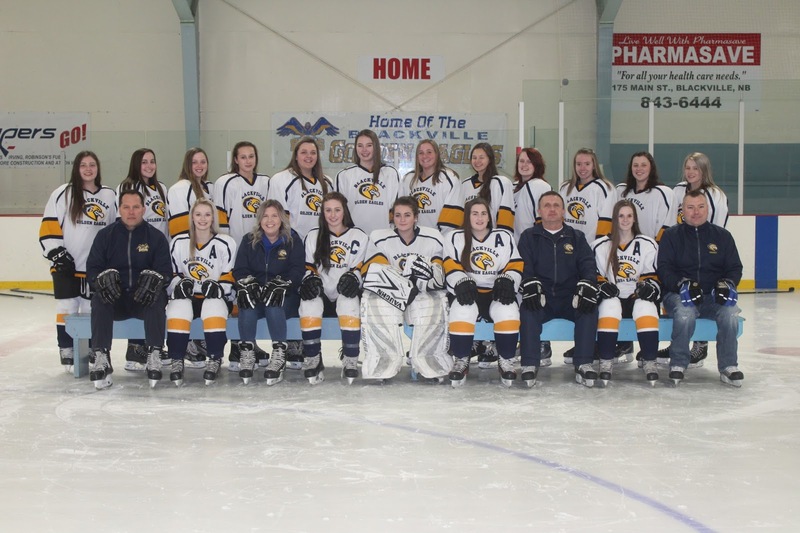 The middle of the girls season was a roller-coaster ride full of ups and downs, but they turned this around just before playoffs with a few huge key wins. The girls then won a do or die elimination game in their home arena to push their way into playoffs. 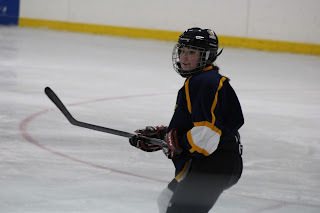 In the first round of playoffs the girls played a great series against their rival NSER. The girls began the series with a huge 3-0 statement game. Helena Arbeau played a great game in net picking up the shutout. They followed this one up with a 3-1 win at home to move on to the next round. 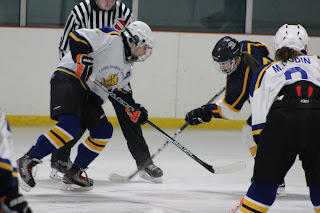 The girls faced first place caraquet in this series and put forth a strong effort till the very end but ultimately fell short. The girls played an amazing season for their first year in the league and have set the bar high for the future teams. We caught up with two Senior girls coaches; Jonathon Brennan and Jamie Urquhart to find out what coaching this team meant to them. Coach Brennan: "Being the first head coach of the first BHS girls high school team had its challenges. 17 different personalities from grade 8 to 12 not to mention a goalie with 0 games experience. And for someone that had never coached an all girls team. I really didn’t know what to expect. I must say looking back now these girls really gave it all they had, game in and game out. They committed to being there every game and giving it all they had. Having my two daughters on the team made it extra special for me and when the final buzzer sounded on our season I stood proud knowing that I was part of something very special! Go Eagles!" Coach Urquhart: "I was so nervous at the first of the season having never coached high school girls before. But all the girls were so kind, funny and respectful; they really made me feel part of the team. So proud of BHS!" Best wishes go to the seven graduating seniors: Erin Moody, Olivia Buggie, Jaime Vickers, Amber Walls, Marlee Schofield, Abby Donovan, and Emily Peterson. Best of luck to the boys team as they will be Hosting Provincials in Renous this weekend. Everyone is encouraged to come out and show support for the Eagles as they fight for the Provincial Banner.